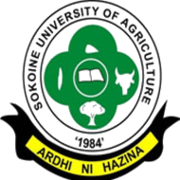 Home / NEWS / SUA: URGENT NOTICE TO ALL FIRST YEAR UNDERGRADUATE STUDENTS ACADEMIC YEAR - 2018/2019. SUA: URGENT NOTICE TO ALL FIRST YEAR UNDERGRADUATE STUDENTS ACADEMIC YEAR - 2018/2019. The following is the list of First year Undergraduate Students in the Academic year 2018/2019 available at the Directorate of Undergraduate Studies (DUS) fully registered and their names submitted to TCU. The missing students in this list are urgently DIRECTED to visit the Director DUS office and register their concern latest tomorrow Tuesday 15th January 2019 before 3.30 pm. KINDLY TREAT THIS AS AN URGENT MATTER TO AVOID FUTURE PROBLEMS.